Drive traffic and attract clients by using the web’s best-kept traffic secret: Pinterest. Yes, Pinterest! It’s not just for DIY and recipes anymore, it’s become a powerful tool for businesses looking to find their customers online. Chances are, your competitors are already there. For a LIMITED TIME, the 4-part series is available below, so grab a coffee and learn how Pinterest can help your small service business get visible! 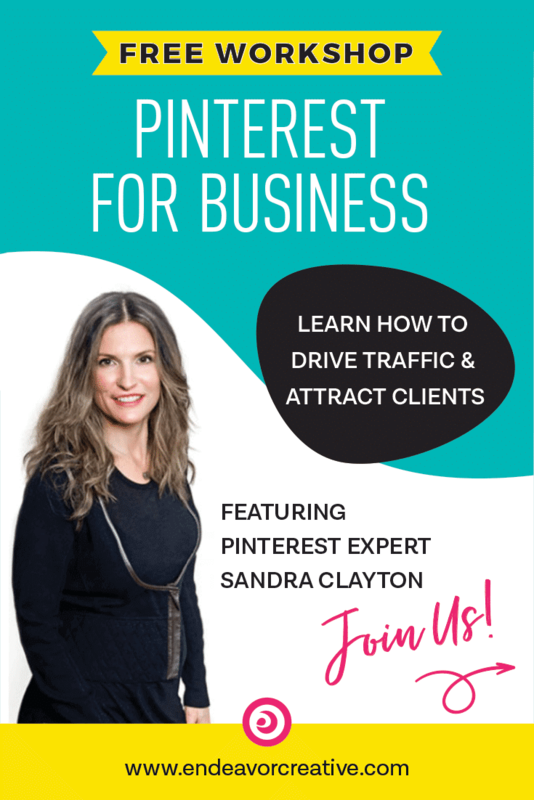 Why Pinterest is the best-kept secret for driving traffic to your small service-based business. How To Set Up A Business Account on Pinterest. How to create a plan to drive traffic from Pinterest. What to do when you’re not seeing results from Pinterest. Below is an affiliate link. You can read my full disclosure policy here.